The New Orion system is our latest development in DPSS Laser systems. 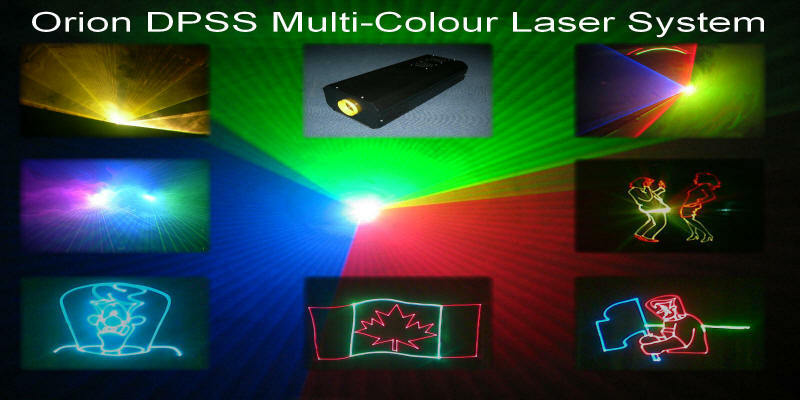 Full colour selection across the Red, Green and Blue spectrum, low beam divergence, circular output beam and high speed 42 Khz scanning. For more information or a demo please contact us.